A market is a place where a number of sellers come together to compete against each other to build a better customer base than the other. In the case of the Digital Market, the definition doesn’t change, but just that it’s not a physical location but a location on the tap of your thumb. Digital Market, today, is growing rapidly. It has changed the face of the classical idea of a market. The Internet has become the biggest marketplace mankind has ever experienced. Search Engine Marketing (SEM) is a branch of Internet Marketing where website owners reach the search engines (Google, YAHOO!, etc.) to have a deal to have their websites on the top of the search results page for a particular keyword. This is done in exchange of monetary benefits for the search engine. For this, the mechanism of the search engine(s) have to be studied correctly. If not done properly, one might as well lose money by buying out keywords which don’t drive in traffic at all. 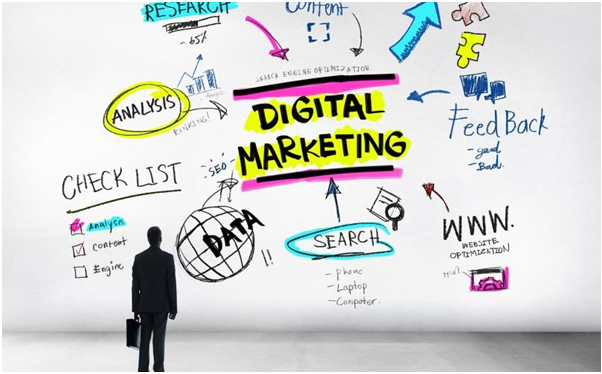 Different institutes/ colleges have come up with different courses to help students learn about the future of marketing and digital marketing. Bachelor in Commerce or the B.Com course is an ideal course for a future webmaster (someone who manages a website) as it gives an insight of Finance, Accounting, Statistics, Taxation, and also, Marketing which gives an holistic approach when handling one own’s business. Webmasters have to be very careful while framing policies for their Search Engine Marketing project. One has to carefully examine competitors, their agendas, the keywords, the traffic on the keywords, etc. B.Com students have this lead that they know statistics, they know how trends work and they can predict the future trends. This helps them to understand and build guidelines to work and to build agendas for their firm. Trends give an insight into how the search engine is changing over time, so the webmasters know what exactly they’re doing. As far as the money is concerned, the finances of B.Com graduates are top-level. Hence, the framing of the budget, coming up with policies and keeping up with agendas aren’t a big thing for such grads. The SEM platform requires a lot of focus alongside tremendous amounts of homework before the implementation of plans, which is just not everyone’s cup of tea and this is what B.Com students have been taught to excel in their 3 years of college. Planning to controlling, everything falls in here, and a commerce graduate is indeed, the ideal one for this job. Google, as we know it, is the biggest Search Engine on the planet with a 93% share. It has marketed and built itself in such a way that it is impossible for the users to leave Google for the next 20 years at the minimum. It is undoubtedly the king of the digital world and the empire is still growing. More than 68% of brands today are dependent on the digital segment of the market to reach to their customers. This number is increasing exponentially. The world needs more and more of digital marketers because it has the potential to disrupt everything else, it surely is the future of the planet we’re living in.